Zen Girl: Mermaid Yogis Spring Challenge starts April 1st! Mermaid Yogis Spring Challenge starts April 1st! I'm so happy to announce that we're bringing it back! 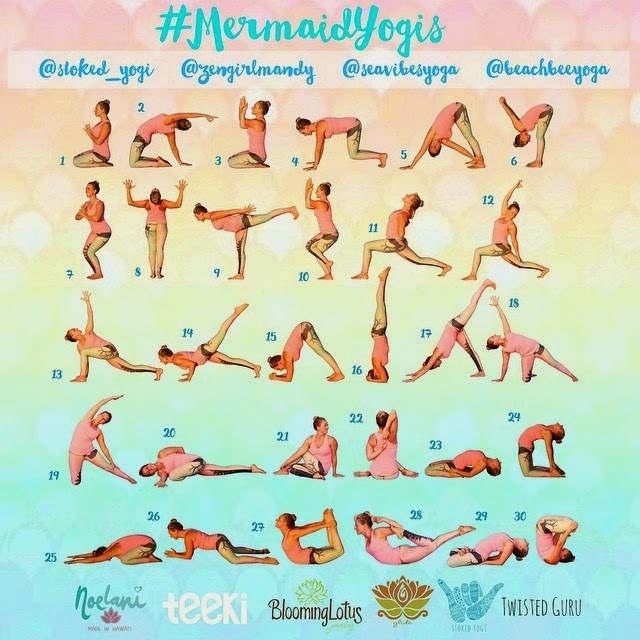 Wednesday, April 1st, we will kick off the 2015 #MermaidYogis challenge. 30 days of yoga, connection, sisterhood, support and gratitude for mama ocean. This journey will be guided by me (@zengirlmandy), Amelia Travis (@stoked_yogi), Jaysea Devoe (@seavibesyoga) and Mary K Benney (@beachbeeyoga). Amelia, Jaysea and I live here in San Diego, California and started this movement in early 2014. Mary K lives in Havre de Grace, Maryland and will be representing all the East Coast mermaids. Join us on facebook and/or instagram to follow along with the challenge pose each day. Here is the official challenge line-up! These poses were carefully selected with purpose and intention to help you embody the grace and strength of the ocean progressively, throughout the month. On day one, we start in seated pose, with a dedicated meditation to help set the tone for April. As we flow through the weeks, the poses become more challenging and complex, and as always, we ask that you listen to your body and only do the variation of the pose that is right for you and your energy at the moment. Embodying the goddess mermaid energy flow means that you are both authentic to yourself AND respectful of your community and environment. It is our hope that through these online yoga challenges, we can encourage yogis to become more connected to and therefore, more mindful of each other, the ocean, and our beautiful planet as a whole. One of our favorite mantras is: We are all connected! * Please note: You are not required to tag sponsors, however they are donating some really awesome prizes, so you may wish for them to see your posts. Totally up to you! We will also have some surprise weekly giveaways and tutorials via the Stoked Yogi YouTube channel. So.... are you in? 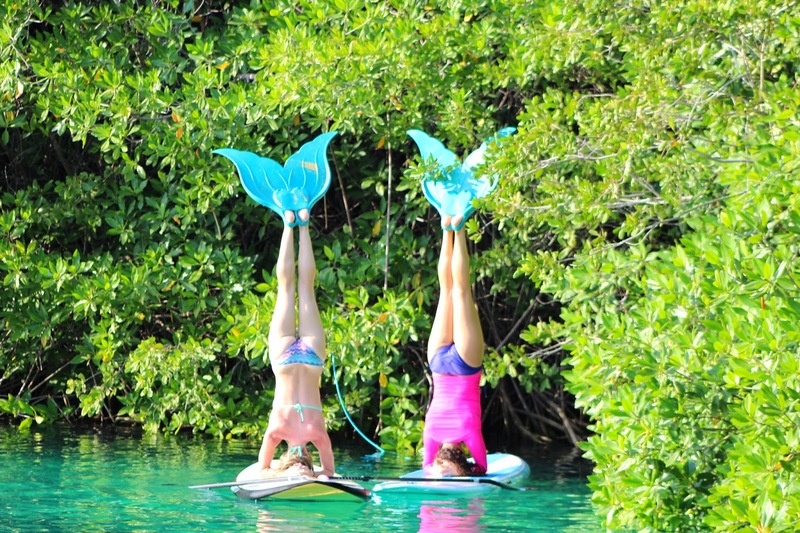 Comment below if you will be joining us for the April 2015 #mermaidyogis take-over! I may be a silent mermaid yogi but I will be present.